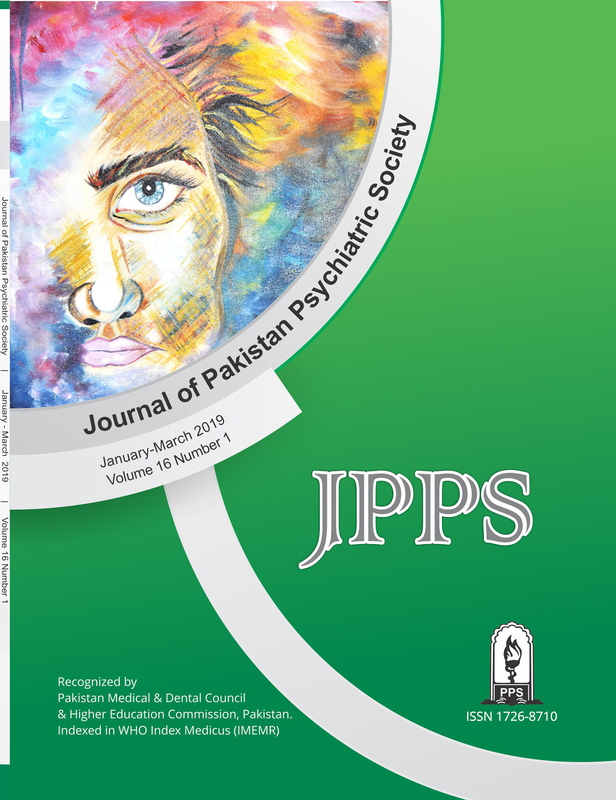 Journal of Pakistan Psychiatric Society is published on controlled circulation basis and distributed among the faculty of all medical colleges, main libraries and private clinics throughout Pakistan and abroad. All rights reserved. No part of this publication may be reproduced, stored in a retrieval system, or transmitted in any form or by any means, electronic, mechanical, photocopying, except for internal or personal use, without the prior permission of the publisher. The publisher and the member of the editorial board cannot be held responsible for errors or for any consequences arising form the use of the information contained in this journal. Journal of Pakistan Psychiatric society is published 03 monthly composed and printed at Faisalabat Printers, Faisalabad. Printer: - ................Printers, .................., ................., Faisalabad - Pakistan. Price: - Annual Subscription: Rs. 2000 in Pakistan. N.B. : Complimentary copies are sent to medical colleges, libraries, tertiary referral centres, and general practitioners and doctors in training on request.